It was a dream to have a Personality Questionnaire subtle enough to envisage the person as a whole, able to embrace his interactions with others and with different environments and to enhance his its potential and his inner complexity. The dream of a Personality Questionnaire allowing to develop one's own awareness, the awareness of others and to realize at the same time how each of us is unique. A Questionnaire contributing to creating mutual respect, of oneself, of others and far from any judgement values. To access to another dimension, the one where things are possible because everyone reveals potentials and is dynamically evolving his whole life. In short, to have a “questionnaire” not a “test” judging you. 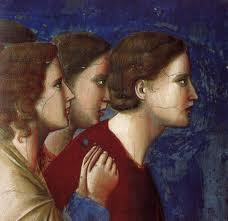 Giotto 14th Italian painter, architect & sculptor and major innovator. DoLquest complies with the current RGPD-GDPR regulations.